A clear sky. Low 42F. Winds NW at 10 to 20 mph..
A clear sky. Low 42F. Winds NW at 10 to 20 mph. 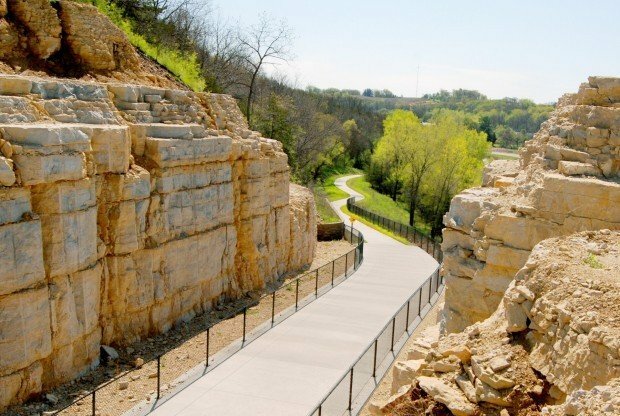 DECORAH, Iowa --- To celebrate the grand opening of Trout Run Trail, the community will host Trail Weekend, a fun-filled event Sept. 22-23. 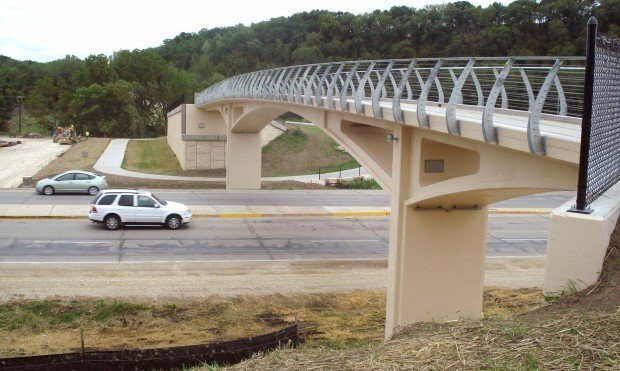 Construction workers finished all major aspects of the 11-mile loop, including a pedestrian bridge over Iowa Highway 9, earlier this month. "After more than 10 years of preparation the time has finally come," Mike Huinker, lead trail volunteer, said in a prepared statement. To sign up or for information, go online at www.decorahrotary.org. For information, go online at www.decorahopenstreets.com. 1 p.m., art dedication, Decorah Fish Hatchery. 4:30 p.m., honorary walk or bike ride, Trout Run Trail to Highway 9 bridge. For information or to volunteer for any event, call the Winneshiek County Convention and Visitors Bureau at (563) 382-2023, e-mail info@visitdecorah.com or stop by the visitor's center, 507 W. Water St., in Decorah.